Published: Oct. 24, 2010 at 04:02 p.m.
(4:30) (Punt formation) R.Hodges up the middle to NO 9 for 68 yards (M.Jenkins). Hodges faked the punt and run up the middle for 68 yards. 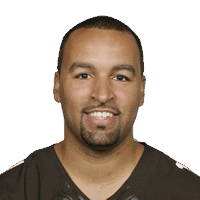 Published: Oct. 24, 2010 at 02:24 p.m.
Browns punter Reggie Hodges fools the Saints with a 68-yard run off a fake punt.